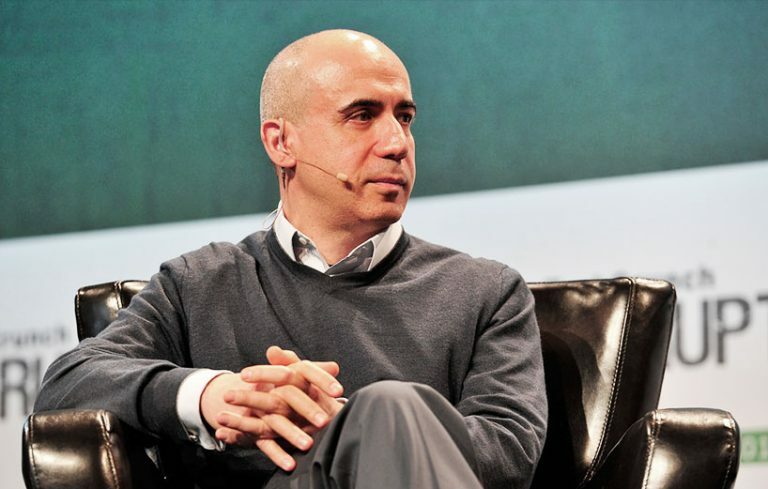 Yuri Milner was born in 1961 in Moscow, Russia. He is an international investor with investments in a wide range of companies, among them Alibaba, Airbnb, and Spotify, to name a few. Milner, who holds a degree in Theoretical Physics, is also interested in scientific ventures. One such venture, founded and funded by Milner, is the Breakthrough Listen project: an ambitious attempt to find extraterrestrial radio transsmitions. Milner was born to a family who is closely tied to the scientific community of Moscow. His father, Bentsion, worked as a senior director for the Russian Academy of Science. His mother, Betty, was also a state-employed scientist. Thus, it is no coincidence that Milner’s first attempt at a career was in this field, and he graduated with a degree in Theoretical Physics from the Russian Academy of Sciences. However, his affinity with the natural sciences did not last long and he soon moved to the U.S. to pursue a career in business. After graduating with an MBA from Wharton School of Business, he started working for the World Bank in Washington, and in 1995 moved to Menetap Bank. He climbed the ranks in the bank and in 1997 was appointed as its Deputy Chairman. After reading an article about online businesses, Milner was inspired to begin investing individually in the field, believing its imminent growth will bring him fortune. This proved to be an accurate prediction, and following a few successful investments, in 2005 Milner founded the investment fund Digital Sky Technologies (DST), to focus exclusively on internet and technology companies. DST has since invested in a wide variety of companies. with Facebook, WhatsApp, and Twitter being amongst its most famous stakes. Milner’s holdings of stocks in a few very high-profile companies brought him a personal fortune of USD$3.1 billion, and he skyrocketed in the American financial market. He says the secret of his investment success is “simply about meeting the right person, which involves being everywhere all the time”. Despite opting to switch careers from physics to business, Yuri Milner did not lose his interest in the natural sciences. In 2012, along with other famous business personalities such as Mark Zuckerberg, Sergei Brin, and Art Levinson, he founded the Breakthrough Prize, which is designed to give funding and recognition to leading scientists in the fields of Life Sciences, Fundamental Physics, and Mathematics. Milner also founded an ambitious program called Breakthrough Initiatives, which is a set of ambitious projects designed for the purpose of finding extraterrestrial life. Its first project, Breakthrough Listen, is designed to search, using advanced technology, messages that may be transmitted by life forms outside our solar system.